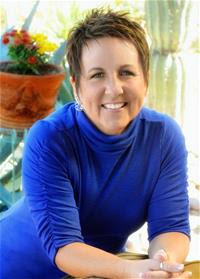 HomeArticlesNewsInternational Conference Will Feature Popular Bible Teacher and Speaker From U.S.
International Conference Will Feature Popular Bible Teacher and Speaker From U.S.
Tucson, AZ − For the first time in over six years, a woman will be the keynote speaker for the Faith Community Churches International (FCCI) annual conference to be held in Malawi, July 10-13. Dr. Deb Waterbury has been chosen to address delegates representing 45 nations in seven different world regions including Africa, Europe, South America, South Pacific and Middle East. Dr. Waterbury has been a long-time member of FCCI, as well as a frequent speaker at churches in Africa for the past seven years. Less than a year ago, Dr. Waterbury’s ministry, Love Everlasting Ministries, formed the “Reap What You Sew” project which offers tailoring and business training to widows and destitute women in Malawi, the second poorest country in the world. The mission of FCCI is to facilitate and empower a multi-national, multi-faceted, multi-dimensional fellowship of ministers and churches who take the Great Commission seriously. FCCI provides various services to ministry leaders and pastors including placement services for ministers, mentoring and coaching, a global network of proven missions for ministry involvement, strategic planning and administrative training, corporate legal services, IRS 501-C-3 affiliate status to ministries in the United States, regional in-service training opportunities, among other support services. This will be the first time the FCCI conference will be held in an African nation. Sixteen nations in Africa have FCCI members, the most of any world region. Other speakers at the July event will include Dr. Felix Omobude, General Superintendent of Gospel Light International Ministries from Nigeria; Augustine and Priscilla Mgala, founders of Agape Ministries in Malawi; Dr. Reggies Wenyika, who was born in Zimbabwe and is now President of Southwestern Christian University in Oklahoma City, among others. Dr. Deborah Waterbury is the founder of Love Everlasting Ministries, and has authored nine books, including her new release entitled “The Lies that Bind.” She travels extensively, both nationally and abroad, leading conferences and teaching seminars. She hosts a weekly podcast called “Windows of the Heart,” and spends a great deal of her time writing curriculum as well as allegorical novels, including her popular series, The Painted Window Trilogy. Dr. Waterbury holds a Masters in the Art of Teaching from Grand Canyon University in Phoenix, Arizona, and acquired her Doctorate of Ministry in Biblical Expository Studies from Pillsbury Seminary in St. Louis, Missouri. She currently resides in Tucson, Arizona, with her husband, Jeff. For more information, visit www.debwaterbury.com.